Viz the Makeover Monday challenge! Hone your data-viz skills by joining the two Andys for #MakeoverMonday! Our own Andy Cotgreave and Tableau Zen Master Andy Kriebel are leading the weekly exercise. Their goal is to encourage people to cast a critical eye over the charts they see. 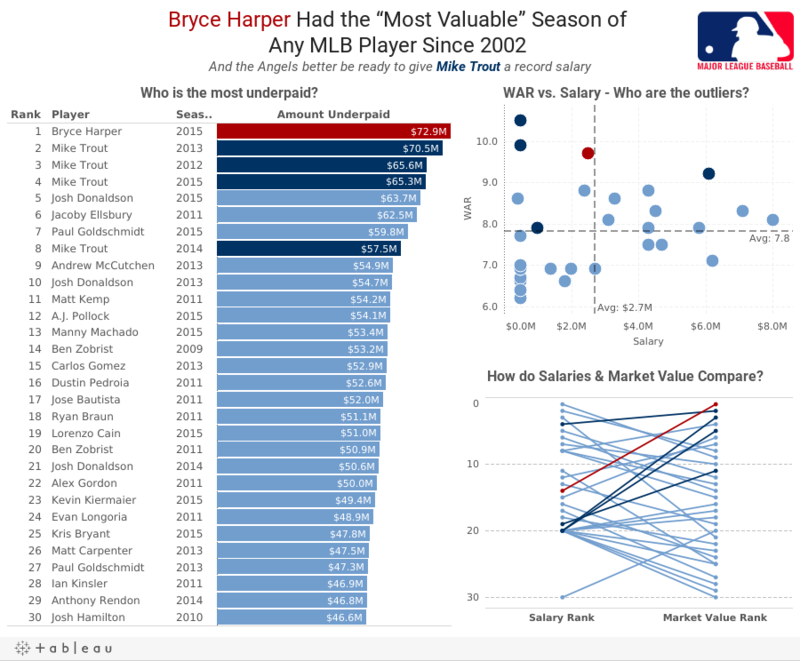 Every Sunday, Andy K. will share the week’s chart and data set on his blog, VizWiz. Then it’s up to you to recreate that chart as you see fit. 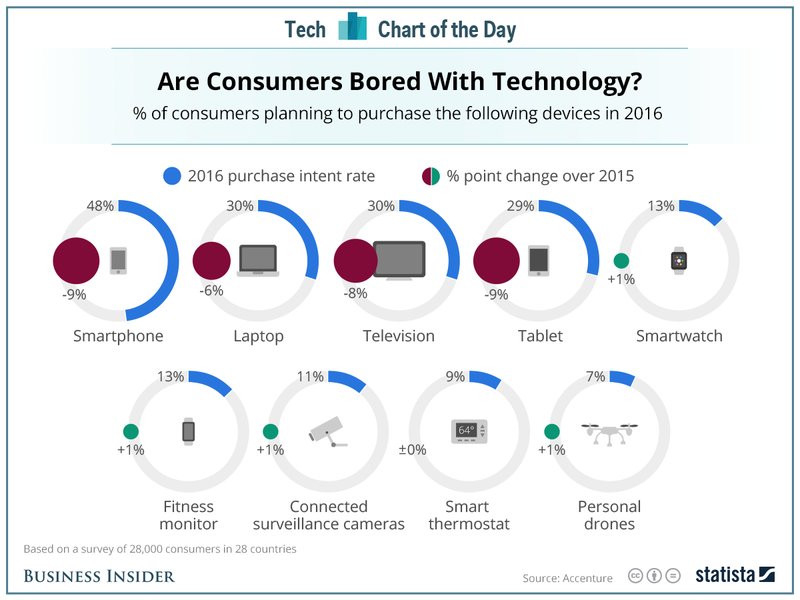 This week's topic comes from a Business Insider chart that asks: Are consumers bored with technology? The data set lists the percentage of consumers planning to purchase each type of devices this year. 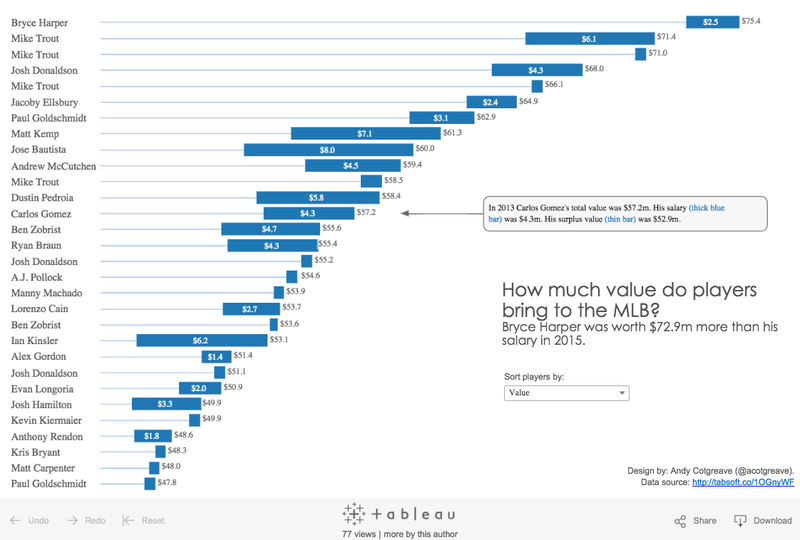 Once you've made your own viz, do share your work on Twitter using the hashtag #MakeoverMonday. Consider time-boxing yourself to one hour. Just make something quick. Here are a few examples to get your ideas flowing. 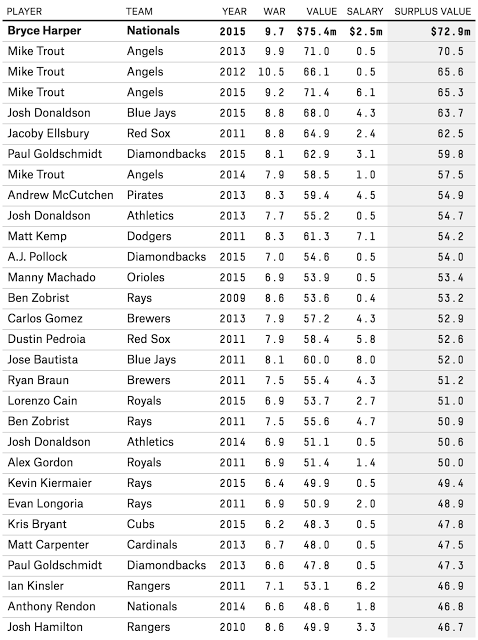 A past challenge involved this table from FiveThirtyEight. 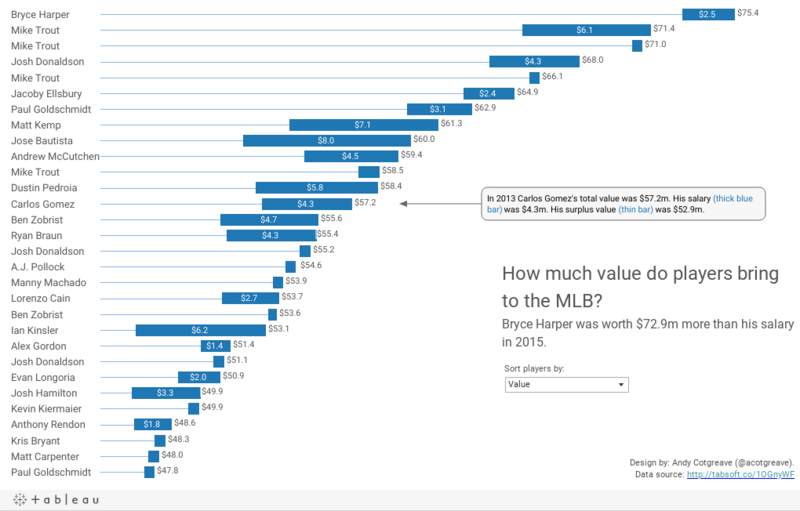 It lists top MLB players, their salaries, and their estimated value based on performance. Seeing all the different approaches is part of the fun, says Andy C.
So dive in, get vizzing, and share what you come up with! Do we get data from your side for Makeover Monday Challenge? I really want to participate in it. Appreciated whoever repopulated the XLS and TDE files supporting the Inequality in the United States project. However, now I have another question. My data is essentially all year times series, some 60 years in a row of data starting in 1930s up to about 2012. For each year I have a wide variety of dimensions including Bottom 90% (by percentage share of wealth in US), Top 10% (by percentage share of wealth in US), Top 1% (by percentage share of wealth in US), Top 1% with offshore assets, (added) Gini Coefficient (measure of wealth distribution in a nation), (added) Per capita household income, (added) savings rate (Bottom 90%), (added) savings rate (Top 10%). The construction of a tree map depends on categories and classifications (as we saw with Superstore for example, stationary category and subcategories of stationary items). However, I am not sure the data I have is like that. Can it still be applied to produce a tree map? Maybe there are some examples of producing tree maps from such time series based data, but I have researched and not finding any. Maybe you can recommend for the kind of data I have, how to best approach a tree map, or maybe use some other tool. Please be aware I am still new to Tableau and learning many of the features. Thanks again for taking my inquiry.